Following on the heels of mega-chains like Wal-Mart (WMT), Target (TGT), and Costco (COST) focusing on the grocery part of their marketing mix, more and more grocery chains are closing stores, merging, filing for Chapter 11 bankruptcy protection, or selling off the underperforming parts of their chain. The grocery store landscape has simply become too competitive once Wal-Mart opens comes to town. However, many experts believe this mindset is an excuse that has more to do with the innovation (or lack of innovation) of the grocery retailing leadership team than the competitive grocery retailing environment. Every segment of the U.S. retail industry is uber-competitive, and the mega-chains don't win by default simply because they open their doors. They win when smaller chains offer nothing remarkable to counter with. That's when they find themselves at the mercy of the great and powerful mega-stores. A prime example of a non-mega store competing brilliantly is Trader Joe's. While Safeway, Supervalu, Piggly Wiggly, and Harris Teeter are downsizing, closing stores, and selling off pieces, Trader Joe's (owned by Aldi) is expanding at a rate that can't keep up with consumer demand. 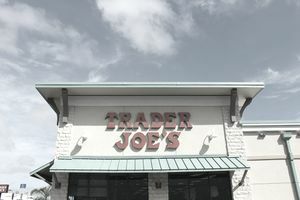 The reason Trader Joe's store demand is outpacing Trader Joe's store supply is the "Trader Joe's difference," and it's a difference that's real, perceptible, valued by customers, and a difference shoppers without access to a local Trader Joe's covet. The success of Traders Joe's hinges on something that every marketer is familiar with. It's referred to as your "differential," which sets you apart from the competition. The "Trader Joe's differential" is its remarkableness. Everything about Trader Joe's is uniquely Trader Joe's. It ranges from the look of the proprietary Trader Joe's brand labels to the aroma of the sample to the taste of the unique micro-niche products to the unique package sizes (which create palatable price points) to the sound of the friendly interactions between staff and customers. The sum total of all this uniqueness that is not a branding illusion, but a distinctly remarkable Trader Joe's experience of sights, sounds, smells, and tastes that is different than any other grocery retailer in the U.S. Customers love what they call the Trader Joe's "vibe," similar to the vibe Apple created for its in-store customers. The Trader Joe's chain is proof that the old maxim "Don't Compete - Create" is practical leadership advice for retailers in the grocery retailing segment. Or, any retailing segment for that matter. Trader Joe's isn't having trouble competing with Wal-Mart, Target, Costco, Whole Foods, or any other large or small retail chain in town because Trader Joe's has no competition. No other chain offers what it offers. It stepped out of the box and then chose to stay there. As long as Trader Joe's stays loyal to its uniqueness and keeps in touch with the needs of its customers, it will continue to be successful and grow.